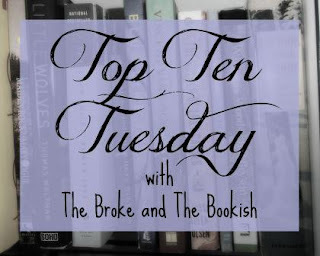 It's rewind day over at The Broke and The Bookish and they invited everyone to pick a past top ten that they had skipped or missed and do it this week. So, I'm giving you my Top Ten Books (or series or authors) I've Never Read. Some of these are going to probably be a surprise, others not so much. Anything Harry Potter. Harry Potter came out when I was in high school and I dismissed it as being too young for me. I was at this pretentious age where I didn't read anything unless the author was dead (meaning a classic- Jane Austen, Charles Dickens, Agatha Christie). I seriously thought if it wasn't a classic, it wasn't worth my time. Man, was I a little book snob! I do plan on reading Harry Potter some day though, hopefully soon. 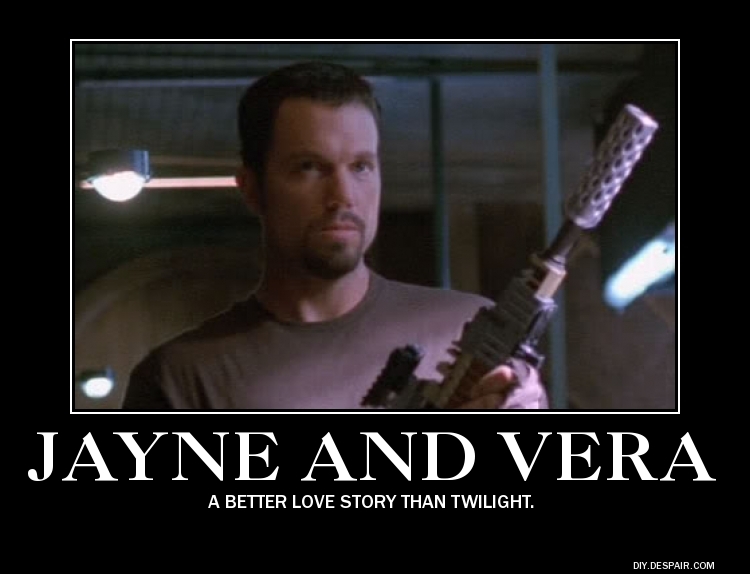 I just finished watching Firefly for the second time, sorry. Twilight anything. I think this whole series has been way over exposed Like, I feel like I know the story without ever cracking the book. The Divergent series. If a book is made into a movie and I haven't read it yet, the odds of me reading the book go down tremendously. If I was smart, I could probably make some type of formula to show this, but just take my word for it. 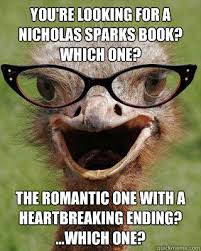 Anything Nicholas Sparks. Ugh. I saw A Walk to Remember and The Notebook, but his writing is a little too sappy for my liking, and the fact that someone usually dies doesn't earn any bonus points with me. Outlander by Diana Gabaldon. I originally dismissed this as a straight romance novel, which I usually avoid like the plague, but the premise does sound intriguing. This one may get a read someday. 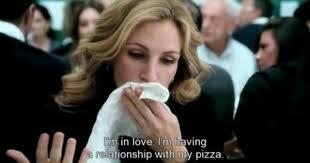 Okay, who doesn't want to be in a relationship with pizza? Eat, Pray, Love by Elizabeth Gilbert. If I had $1 for every time I stumble across this book at a garage sale, thrift shop, or used book store, I'd probably have $100 by now. And it's not like I'm opposed to reading it, it's just that every time I see a copy of it, it makes me want to read it less. The Book Thief by Markus Zusak. It's been on my reading list for years, and I've physically possessed a copy for over two of those years thanks to my Books'nBloggers swap with Jolene, yet it still is unread. Why? I have a feeling it's going to be soooo sad. But, I really do want to read it! And plan to some day. Hopefully soon. Anything by John Green. No Paper Towns, no Fault in Our Stars, nope. I think I view him as the young adult Nicholas Sparks, but I could be wrong. He may get a shot some day. 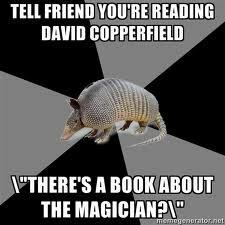 Anything by Lee Child, James Patterson, Vince Flynn, Sandra Brown, or Danielle Steele. I have a tendency to keep away from the mass market paperback, so I've made it into my thirties, without reading some of the authors who probably move the most books. Anything by Charles Dickens. I know what I said in #1, but the truth is, I've never finished anything by Dickens. I've seen some movies, I've started some, but I've yet to get all the ways through a Dickens novel! Another to add to the book bucket list. How about you? Got a confession to make? Or want to make a case that I need to give one of these a try ASAP? Leave me a comment below. 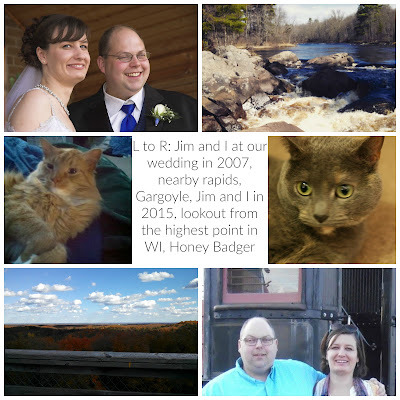 And don't forget to head over to The Broke and the Bookish to see what every one else posted. I am with you on most of these...Sparks...Twilight...Outlander....I did finally get around to reading Book Thief (yes!) and Fault in Our Stars (yes!) And Dickens is a bit of a meanderer, I think. I did enjoy Harry Potter, even though I was already an adult, and I have The Book Thief on my TBR. I have no interest in Twilight, didn't enjoy Divergent, and struggled with Dickens as well. Ha -- I've read just about everything on this list (except Lee Child, Sandra Brown and Dickens). I can see where your viewpoints come from, though, and I think I was lucky in that I didn't have any preconceived notions about a lot of these books when I read them. For instance, in high school a younger neighbor told me I should read the first three Harry Potter books and made me borrow them, and I had ABSOLUTELY no idea what they were about when I started reading. Same goes for Twilight (which I picked up at the store a few months before the movie came out but had never heard of; this was obviously before book blogging), Divergent, and Outlander (which really is way more than a romance). While I really did enjoy many of the books here, I thought "Eat Pray Love" and "The Fault in Our Stars" were just ok. And some of these authors I haven't read in years, like Patterson, Sparks and Flynn. You really need to read the Outlander Series. I loved each of them and am impatiently awaiting another. The Book Thief is amazing! Also I hope you enjoy Harry Potter when you get to it. 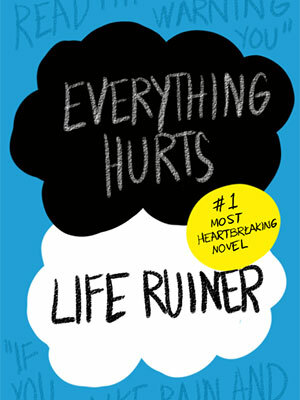 I read TFIOS but have no plans to read any other John Green. I will never read Twilight either.